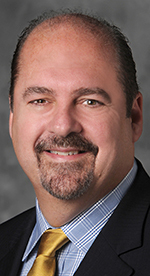 Bob Riney, executive vice president and chief operating officer of Detroit-based Henry Ford Health System, has just been elected board chair of the Lansing-based Michigan Health & Hospital Association, an organization advocating for hospitals and their patients. Riney will serve as the association’s chairman through the end of 2017 and will be involved in advocacy at both the state and national levels on behalf of both healthcare providers and their patients and communities. He has been serving on the MHA board for six years and has been a member of the board’s execute committee for three years. He has also served as both treasurer and chair-elect on MHA’s board. As executive vice president at Henry Ford Health System, Riney oversees all hospital and service operations for the six-hospital system. Riney, of Grosse Pointe Farms, earned his bachelor of science from Wayne State University.